The Grand Design (2010) tells the fascinating story of how humans came into being and how we began to use the scientific method to explain both our remarkable growth as a species and the world around us. 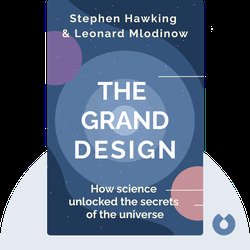 From the foundational laws of Newton and Einstein to the mind-bending science of quantum physics, find out how far we’ve come and how close we are to answering life’s big questions. Stephen Hawking (1942-2018) was one of the world’s most celebrated scientific thinkers, having been honored with numerous awards, including the Presidential Medal of Freedom. For 30 years he was a professor of mathematics at Cambridge University, where he worked on many of his most popular scientific theories. He was also the author of many influential books, including A Brief History of Time and The Universe in a Nutshell. 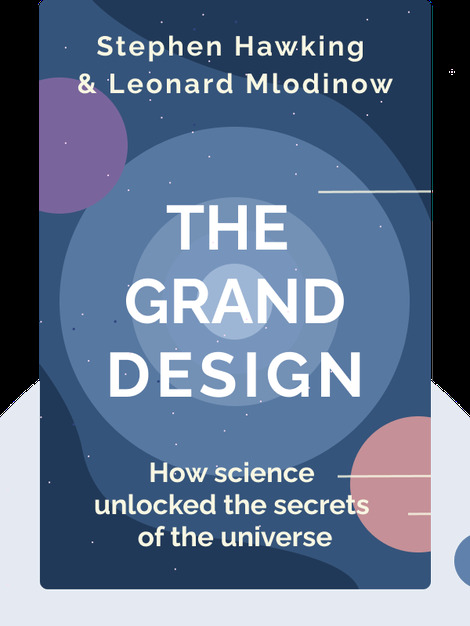 Leonard Mlodinow is a physicist at the California Institute of Technology and one of the most respected specialists in quantum theory. He is also the author of the best-selling books The Drunkard’s Walk: How Randomness Rules Our Lives and A Briefer History of Time.